Our Energy & Resources team has built an excellent reputation over 20 years of acting for public and private companies involved in the Queensland and Australian resources industry. Led by partners Bronwyn Clarkson, and James Plumb, our lawyers are recognised as experts in the resources field. We have the knowledge and experience to provide assistance to clients over the life of a project, from asset acquisition, joint venture formation and project start-up; to the commercialisation of the asset; managing the project’s operational phase; and final decommissioning and rehabilitation. Our focus on providing commercial solutions to legal problems in a timely and cost-effective manner has allowed us to build long-term relationships with a client base ranging from some of Australia’s biggest petroleum and mining companies to many smaller, exploration focussed entities. We take pride in our deep understanding of our clients and their industries, which enables us to provide practical and usable advice. In support of our Energy & Resources group, Carter Newell has specialist teams to assist our Oil & Gas and Mining clients with their commercial and real property requirements, corporate advisory services, workplace health and safety advice, and construction and engineering projects and disputes. Members of our Energy & Resources team are active within the industry, including the Queensland Resources Council, QUPEX Inc (the Queensland Petroleum Exploration Association), the Australian Petroleum Production & Exploration Association, AMPLA – the Resources and Energy Law Association and the Australian Pipelines and Gas Association. Partners Bronwyn Clarkson and James Plumb are recognised within the legal industry as among the best in their field, and our lawyers are regularly published in industry and legal journals. Our ongoing commitment to the Resources industry is demonstrated by the recent release of the Carter Newell Compass, a subscription service and document package which provides clients access to highly specialised legal support. 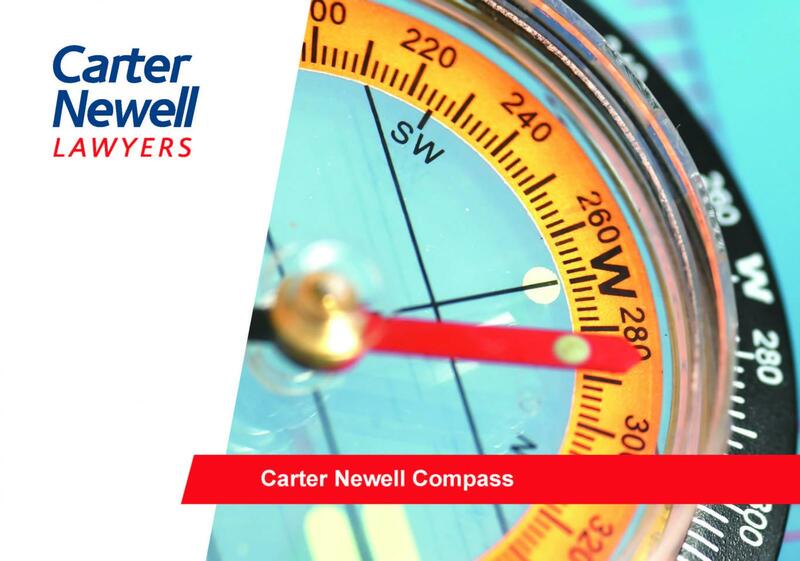 The Carter Newell Compass subscription service is based around an at-call advisory service encompassing operational and tenure requirements, corporate expertise (including transactional, corporate governance and listing rule requirements), and employment and safety matters. To find out more about the Carter Newell Compass, click here. 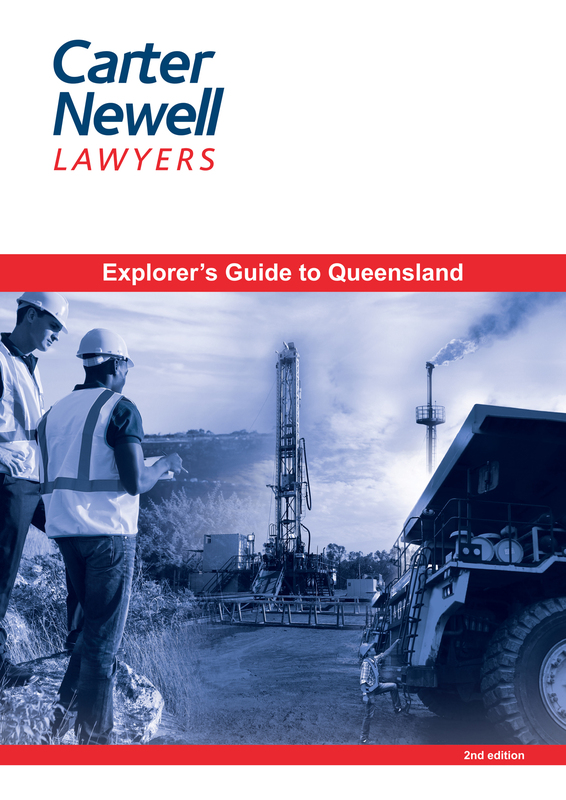 Our Explorer’s Guide to Queensland, now in its 2nd edition, is the only publication of its type and has been endorsed by Michael Roche of the Queensland Resources Council.